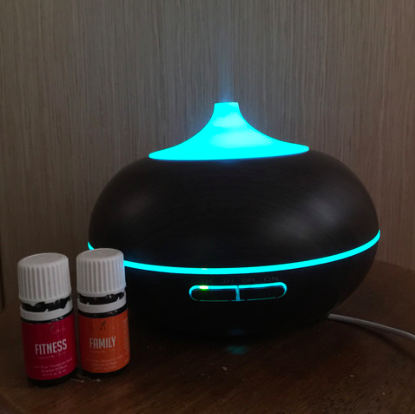 THE GREAT DIFFUSER EXPOSÉ PART TWO – WHICH NON-YL DIFFUSER AND WHY? Hey hey! Phew! Almost done with the whole series on diffusing. I swear, I got high on the oils because to get myself into the mood, I have been diffusing to help me writefasterwritefasterquickquickquick! So ok! 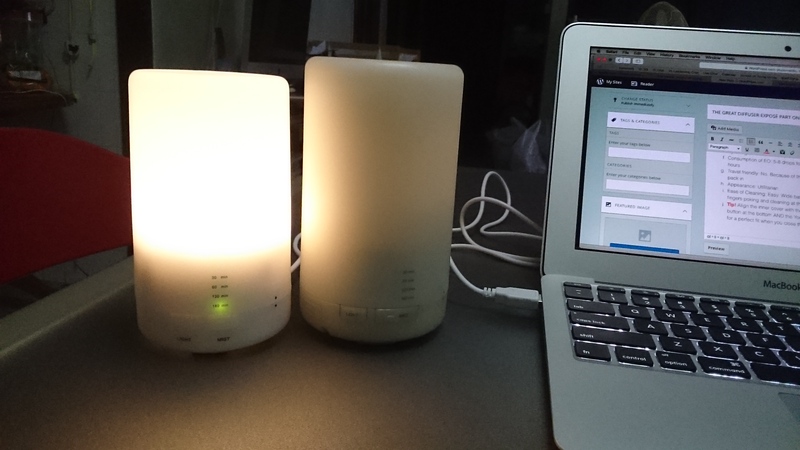 Besides using YL diffusers as I have covered here, I do use a number of non YL diffusers too. I had a lot of fun testing them out and using them in my home so I hope you can gain some experience from my experiences! FULL DISCLOSURE: While a number of the diffusers are sold by my friends, please note these are all bought by me rather than being sponsored. So what you are reading, are my honest and candid opinions on each diffuser. 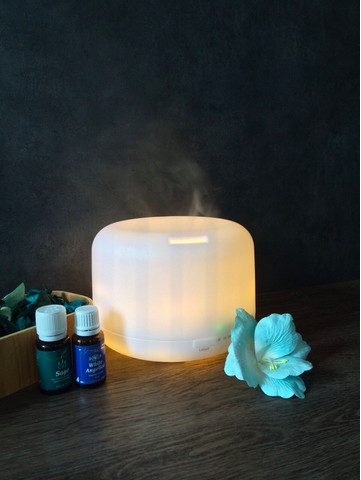 A classy Zen looking diffuser, this is one of my favourites to use in the home. Because of its compact size, I have used it EVERYWHERE! It’s usually found in my kitchen because admittedly, I have a lot of clutter on my kitchen table and this doesn’t take up a lot of space. And I have also brought it with me to the hospital when I was labouring for both my pregnancies! Maybe that’s why I fell asleep between yelling between contractions. Ah so many fond memories…. The Piggy Factor: Really easy to use! I love the minimalist look, the ease of cleaning and maintenance. The Japanese are so good at design and one thing I appreciate is that when you turn it on, it is by default set to 3 hours rather than you having to press 1 hour then 2 then 3. Ease of Cleaning: Easy! Just drain off, rinse with water, refill with water and eo and you are good to go! 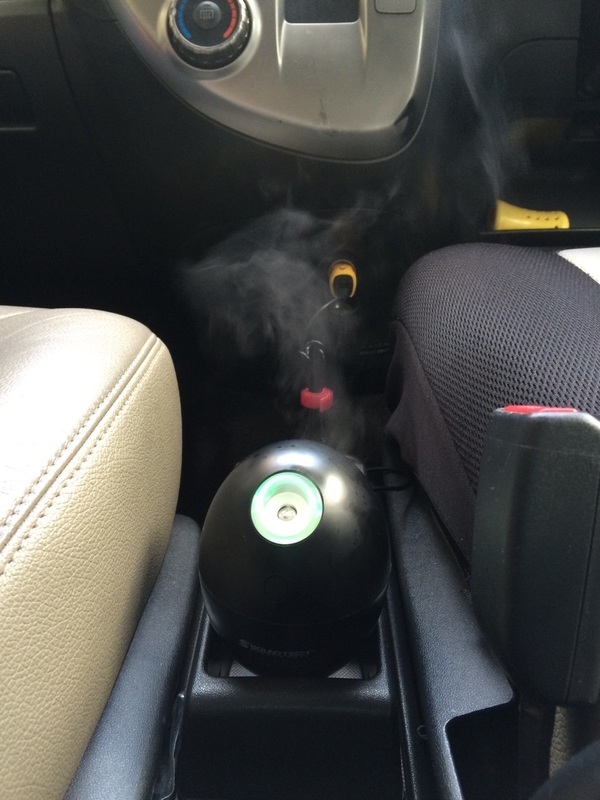 The Orb diffuser was first introduced by YL USA during the 2014 USA convention. I found it cute then but did not purchase. Consequently my group bought some and the main gripe coming back was that there were metal parts inside the Orb and these do come into contact with water. The parts rusted over time and while it didn’t impact the operating, it was a uncomfortable thought to know that you are diffusing… “rusty water”. So when Teresa and Pat show me their Orb diffuser, and revealed that theirs have no metal parts, I WAS SOLD! There’s black and white; I bought the black and I love the fact that it is USB powered so I can attach a power bank and diffuse wherever I go. Travel friendly: Perfect for traveling. Runs on USB power leh~! Appearance: Cute! Get white and it really looks like an egg! Ease of Cleaning: Medium. Because it uses wick and water, you have to switch to a new wick for each oil you use. To clean, rinse and dry off. Ease of Cleaning: Easy! Just rinse, drain off, top up with water and eo and you are good to go! This one! Oh! It’s my lifesaver during the darn haze. Picture a crazed woman, running around in the house, with a LARGE scoop of water in one hand and Purification in the other. It comes with 7 LED light settings so you can pick your favourite colour or even no light if that is what you want. This is also my favourite besides the AromaLux when I need to diffuse during the haze or when I want to keep everyone healthy at home. The Piggy Factor: God is good for making Abundance. Heh. 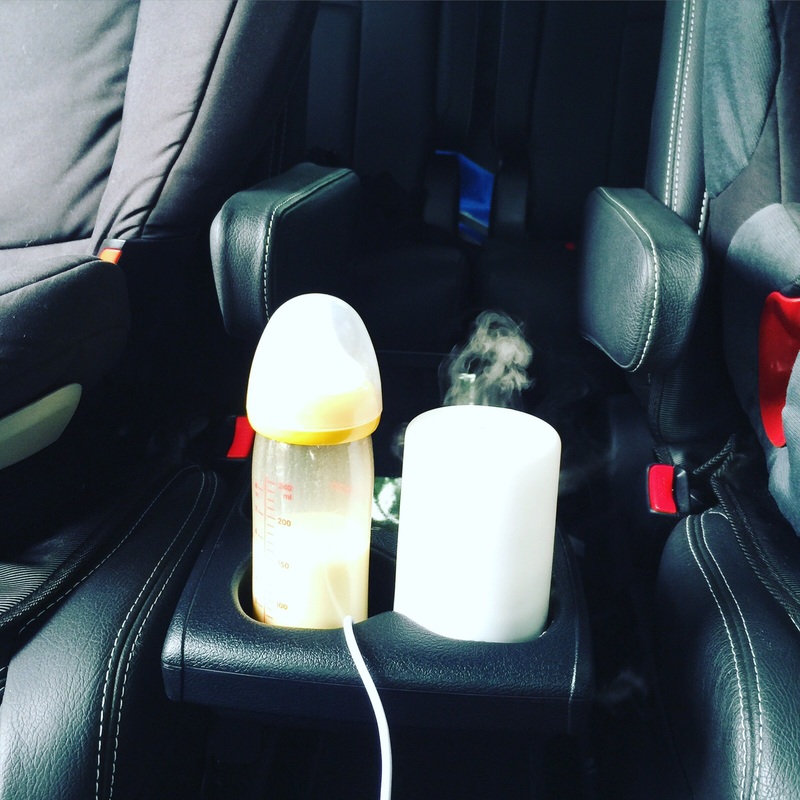 Travel friendly: Erm… unless you think you will diffuse all day long?? Tip! Do you need a night light when you sleep? Because Abundance has 7 LED light colours, what I do is I pick a soothing colour like blue or purple and diffuse it at night. 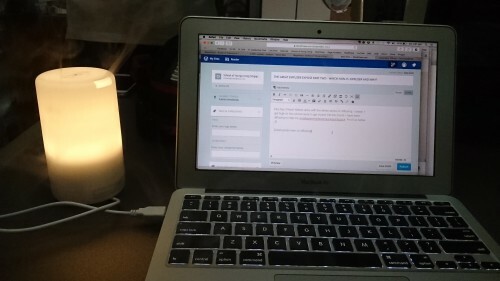 Great smell + Night Light = Happy Faith! So I run YL as a business. Amidst 2 young kids who needs my attention like 10 million times a day. Tandem nursing. Cooking for the family every day. This girl needs her own space! Uurgh! Enter the hubs. He saw that I really needed a space to be alone, to think and do work for my business AND hide away from the kids for a bit. We do have cafes and restaurants just downstairs but I’m not in favour of bursting my wallet, waistline and my data plan everytime I work downstairs on my laptop in those non Wifi zones. The Piggy Factor: If you like Abundance but want something chic and prettier, this is it! Tip! Watch the colours change and soothe you as you do your creative thinking! Hi Ashlyn, thanks! I’ll get in touch with you shortly and let’s work out how I can support you further with the oils usage. Oh hey, your mobile number listed on your account is short of one digit. I’ve dropped you an email instead. You can also contact me at 98487705. 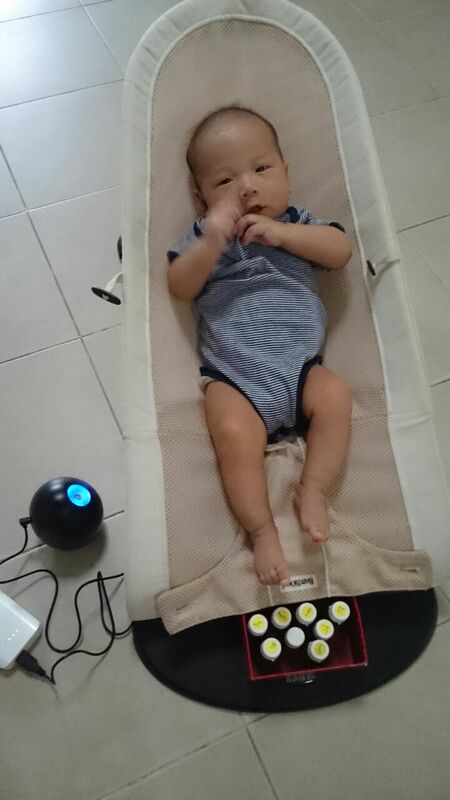 Can I check is it a must to use back YL diffuser? 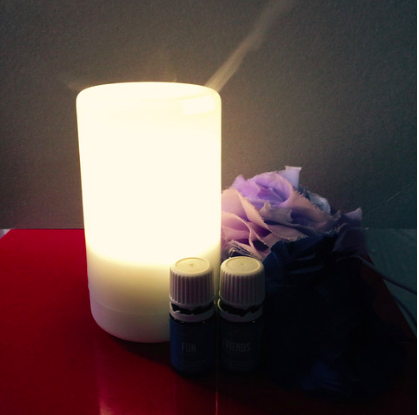 I got feedback that it is more appropriate to use back YL diffuser for their EO. I hope this is not part of marketing strategy to ask me must buy YL diffuser to use YL EO. 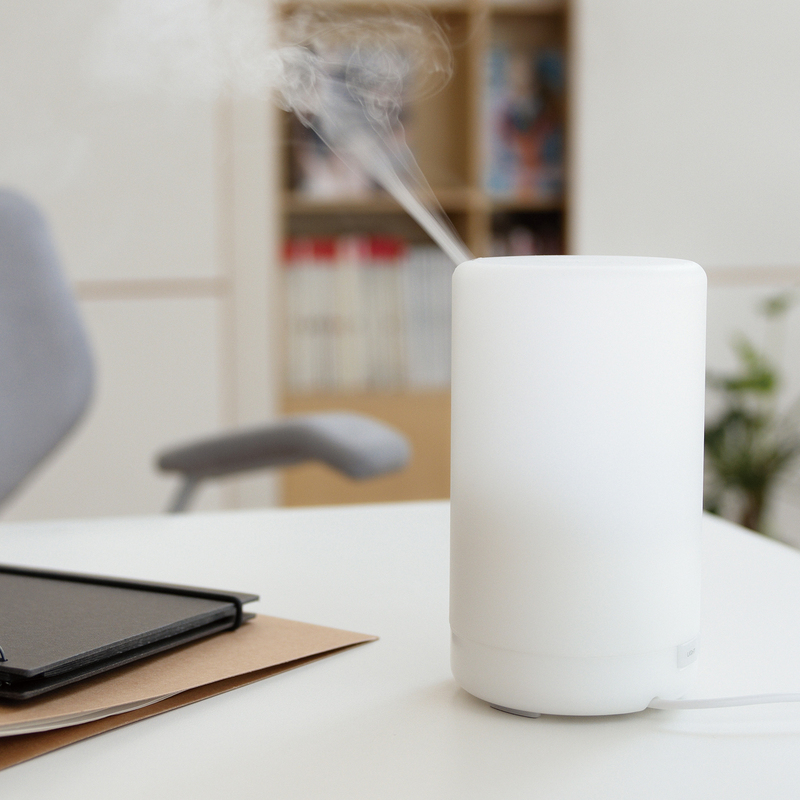 For sure, the YL diffusers are suitable for the YL oils. The other brands, I guess you d need to do some research. E.g. can the plastic quality be ok to have the oils in contact? How do they diffuse? YL oils shouldn’t be used with burners or those air scrubbers.